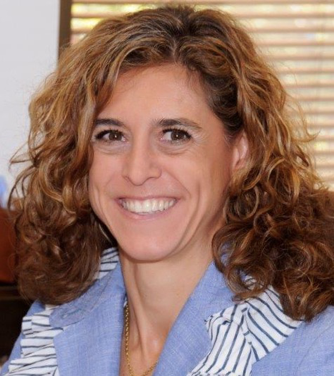 Inés Perea is a Doctor that graduated with honors in the Pharmacy and Executive Business Program by Instituto de Empresa of Madrid. Mrs. Perea has extensive and versatile experience spanning more than 20 years in the Pharmaceutical industry working within different roles within the Medical, Access and Commercial (Marketing, Sales, Strategic Planning) areas and international experience in Global and regional teams. Her main area of expertise is oncology and biologics where she has been involved in the strategic planning and commercialization of more than 10 drugs/indications, most of them linked to some form of biomarker diagnosis. How did you come to know QUIBIM before becoming their strategic advisor? I was in contact with founder and CEO, Angel Bayarri months prior to my start with Quibim. A mutual friend of ours, a director of a large genetics biomarker laboratory in Spain was working specifically on oncology genetic biomarker testing and I would get involved with his organization in the arenas of strategic value and development, as those are two of my core competencies. I was involved in the development and strategic value of genetic/biologic biomarkers in clinical trials in oncology. It was back in the 90’s when biomarkers were a thing of science fiction. Well, he introduced me to Angel and I really thought he had a fantastic idea when it came to implementation of 3-d imaging biomarkers and using algorithms to quantitatively analyze tumors. Once I learned about Quibim’s technology, I knew that the growth could be exponential if he partnered with strategic partners. Your field of expertise is Oncology. The Quantitative Medical Imaging field has evolved significantly but we still use RECIST criteria for evaluation of treatment responses, what do you think is the main reason for this? Standardization? This is the foundation for therapeutic trials. It is a standard when examining patients, however, it has some practical limitations. For example, with the latest breakthrough area in oncology research, immunotherapy, many immuno-oncology drugs are known to cause fluctuations in tumor size, which when analyzed simply with RECIST criteria, would appear as an increase to the tumor size, but it is now understood that tumor fluctuations occur regularly during immunotherapy treatments, often causing the tumor to grow prior to cell DE progression, which is in fact a good sign that would be captured with RECIST criteria well after the fact. In those cases, RECIST does not allow for factoring in the context of the holistic viewpoint that quantitative digital image analysis would facilitate. What therapeutic indications are best served by incorporating quantitative imaging analysis into clinical research trials? There is a very simple answer to this question: any therapeutic indication where standardized radiological assessments are a primary or secondary safety or efficacy endpoint of a study. This includes solid tumors, liver diseases, brain diseases, lung diseases, and many others. Let’s discuss costs. Quantitative imaging analysis sounds expensive. However, automation and extraction of biomarkers as soon as a hospital acquires and uploads images related to a clinical trial can and do have a macroeconomic effect of lowering costs, therefore long-term costs decrease. What do you respond with when someone brings up this objection? You are right, it is a tremendous cost saver from a macroeconomic point of view. What will continue to help this cause are national health systems, private funding, insurers, and other payers to see the long-term cost savings and efficiencies that quantitative imaging analysis facilitates. Essentially, we need to get quantitative image analysis included in the health system reimbursement system much like traditional biomarkers of a decade ago. As a matter of fact, it took health systems quite a bit of time to include standard biomarkers that we have all grown accustomed to, included on their reimbursement schedules. While it essentially all boils down to payers and health authorities, us researchers and technology pioneers need to continue to prove medium and long-term efficiencies and validate it with radiologists, clinicians and imaging researchers. Once we are able to do that effectively, the market will adjust accordingly, it always does. The value seems to be in real-time results that can help in both safety and efficacy outcomes. Please expand further on this thought. Real time results are everything if you really think about it. The main benefit is obviously how this technology facilitates the real time patient care capabilities of healthcare practitioners. Safety and efficacy instant results from treatments are critical when analyzing real time clinical research data. Imaging biomarkers can and will play a tremendous role in improving patient standard of care, and ultimately can make a real impact on disease outcomes.